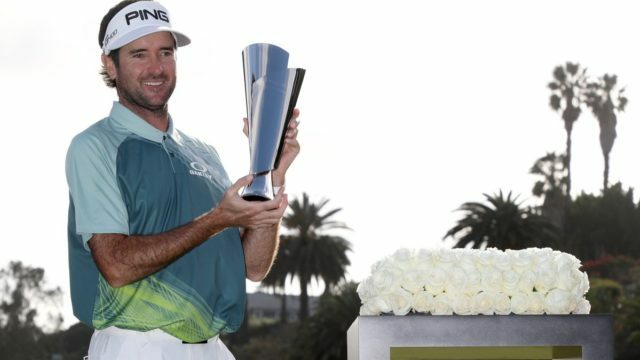 Bubba Watson closed out his first PGA Tour victory since 2016 with two birdies on the final five holes Sunday to win the $7.2 million Genesis Open by two strokes. Watson began play Sunday at Riviera Country Club in Pacific Palisades with a one-stroke lead over Patrick Cantlay. Playing one group ahead of Watson, Kevin Na took the lead on the 10th hole with the second of three consecutive birdies. Cantlay, playing with Watson in the final group, assumed the lead by birdieing the 11th hole while Na was bogeying the 12th. Cantlay bogeyed the 12th, which Watson parred, to move into a tie for the lead with Cantlay. Watson regained the lead by parring the 13th hole which Cantlay bogeyed. Watson added a stroke to his lead on the 14th, holing a bunker shot 48 feet, 7 inches from the cup for a birdie. Tony Finau had a chance for an eagle on the par-5 17th hole that would have put him in a tie for the lead with Watson, but missed a 16-foot, 2- inch putt by three inches, settling for a birdie that left him a stroke behind Watson. Watson birdied the 17th hole to move to two strokes ahead of Finau and Na. He closed out his round of 2-under-par 69 with a 7-foot, 8-inch par putt on the 18th hole. “I can’t believe it,” said Watson, whose best previous finish in his five tournaments in the 2017-18 season preceding the Genesis Open was tying for 35th place in last week’s AT&T Pebble Beach Pro-Am and is coming off his worst season on the PGA Tour, finishing 75th in the FedExCup standings and recording just six top-25 finishes. 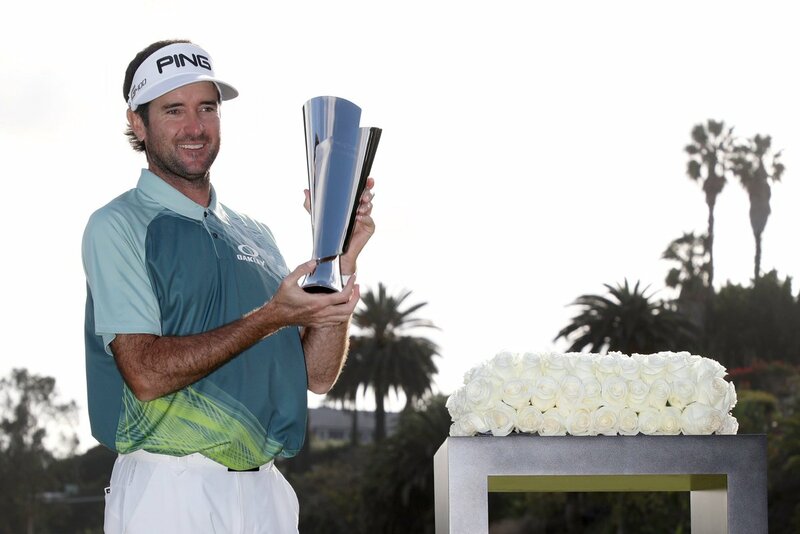 The 39-year-old Watson earned $1.296 million for his 10th career victory on the PGA Tour and a Genesis G80 Sport, the newest mid-sized luxury sedan of the brand whose parent company is South Korea’s Hyundai Motor Group. Watson shot a 12-under-par 272 for his third victory in the tournament known since 2017 as the Genesis Open. He also won it in 2014 and 2016 when it was known as Northern Trust Open. Watson joins Ben Hogan and Arnold Palmer as three-time winners of the tournament originally known as the Los Angeles Open. MacDonald Smith and Lloyd Mangrum share the record with four victories. Na, who left Diamond Bar High following his junior year in 2001 to turn pro, and Finau tied for second at 10-under 274. Each earned $633,600. This was the ninth time in Na’s 359 starts on the PGA Tour he has finished second and the first time since the 2015 Shriners Hospitals for Children Open. His only tournament victory came in the 2011 Justin Timberlake Shriners Hospitals for Children Open. “I haven’t been playing all that great,” said Na, whose best finish in his seven tournaments this season preceding the Genesis Open was tying for 20th in the AT&T Pebble Beach Pro-Am. Cantlay, who shared the lead at the ends of the first and second rounds, tied for fourth with Scott Stallings at 9-under-par 275, three strokes off the lead.